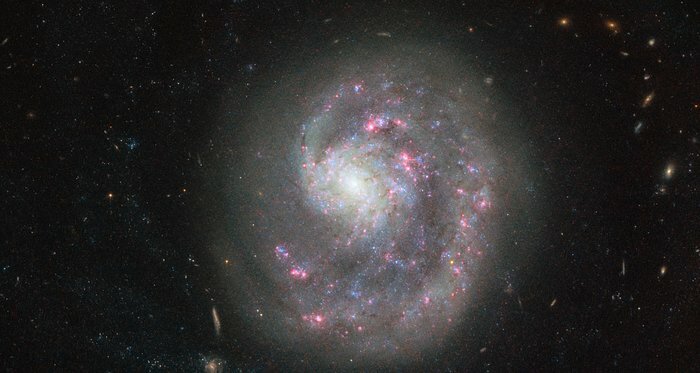 This new Picture of the Week, taken by the NASA/ESA Hubble Space Telescope, shows the dwarf galaxy NGC 4625, located about 30 million light-years away in the constellation of Canes Venatici (The Hunting Dogs). The image, acquired with the Advanced Camera for Surveys (ACS), reveals the single spiral arm of the galaxy, which gives it an asymmetric appearance. 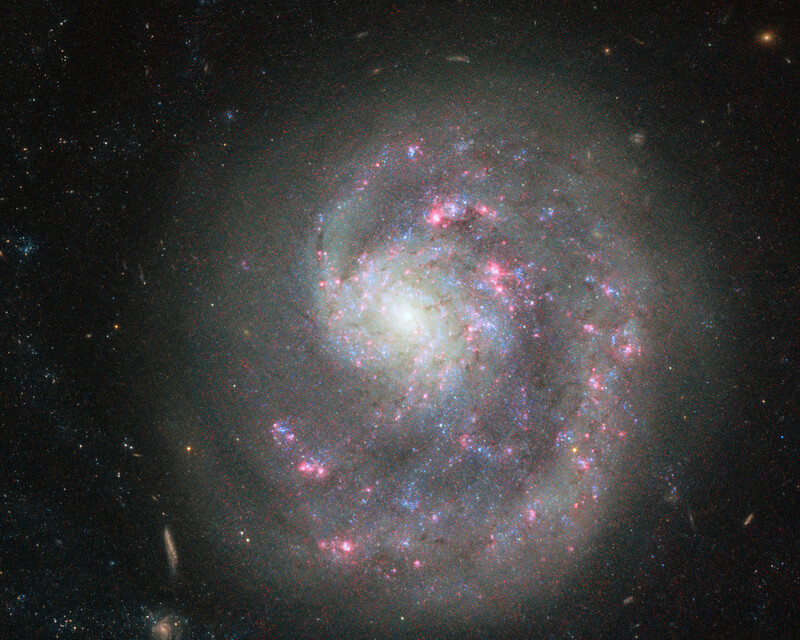 But why is there only one spiral arm, when spiral galaxies normally have at least two? Astronomers looked at NGC 4625 in different wavelengths in the hope of solving this cosmic mystery. Observations in the ultraviolet provided the first hint: in ultraviolet light the disc of the galaxy appears four times larger than on the image depicted here. An indication that there are a large number of very young and hot — hence mainly visible in the ultraviolet — stars forming in the outer regions of the galaxy. These young stars are only around one billion years old, about 10 times younger than the stars seen in the optical centre. 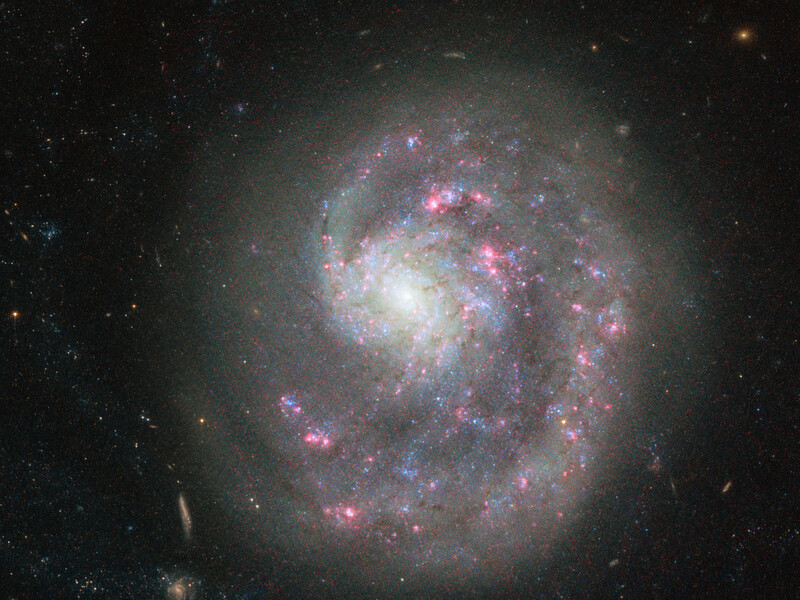 At first astronomers assumed that this high star formation rate was being triggered by the interaction with another, nearby dwarf galaxy called NGC 4618. 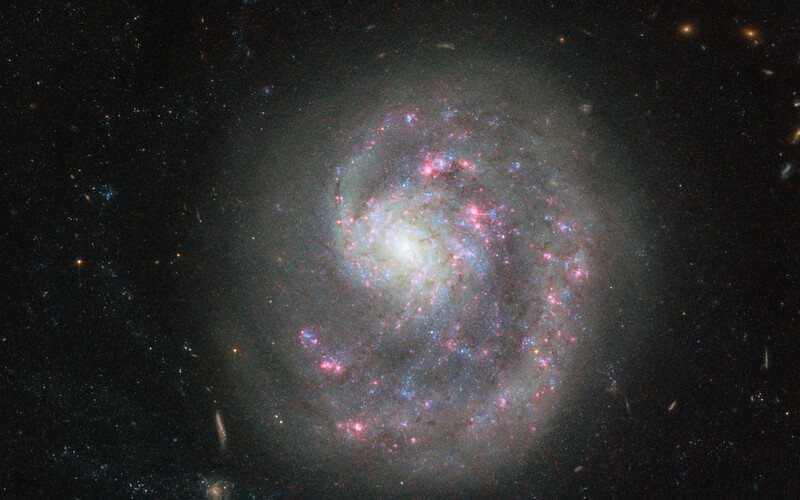 They speculated that NGC 4618 may be the culprit “harassing” NGC 4625, causing it to lose all but one spiral arm. In 2004 astronomers found proof for this claim: The gas in the outermost regions of the dwarf galaxy NGC 4618 has been strongly affected by NGC 4625. Position (Dec): 41° 16' 25.90"